There’s a nip in the air. Leaves are falling. Starbucks is starting to sell stuff with eggnog in it. Yup, the holiday season is upon us, and so are the challenges that come with it. How are you going to get to your customers on time during the busiest period of the year? You’ll need to take special care to plan accurate routes and control your expenses. It’s always important to have accurate routes and controlled expenses of course, but when you don’t have as much to do you can get away with a mistake or two. With all the demand you’ll be facing in the next couple months, though, one mistake could set off a chain reaction of delays that upsets many different customers. There’s no wiggle room now. Route4Me’s last mile delivery optimization software can help you stay organized and keep your customers happy, no matter how hectic it is on the road. More demand means you’ll have to plan your routes faster. If you still plan your routes by hand, then you’ll have to speed up a task that normally takes hours. You’re putting yourself at great risk of making a mistake when you rush like that. A mistake could result in a package being delayed, which in turn results in a customer getting annoyed, which in turn results in negative word of mouth being spread about your business… you get the idea. With Route4Me, you don’t have to worry about any of that. Just load the addresses you need to visit, and then you’ll have a 100% optimized route ready for you in 30 seconds or less. No mistakes. No delays. No stress. Another issue with the holidays is that there’s a good chance your drivers will be visiting new customers in areas they’re not used to, so they might get lost. Route4Me’s GPS tracking feature will help your drivers get to where they need to go, even if they’ve never been there before. Also, unlike GPS devices, routing software is automatically updated with the latest traffic data. This feature speeds up deliveries and improves driver safety. Dropping off goods at a large institution can be difficult, as they often have more than one entrance. A driver might get confused and waste time circling around the building before they figure out which entrance is the right one for them. This is unacceptable during the holidays – you can’t afford to waste a single minute. Route4Me’s route planner offers a solution to this problem. Unlike Google Maps, it can help you drop off deliveries at the right entrance, not just the right building. Simply mark the entrance in the software when you first visit the location. Then, in the future, whoever ends up driving to that location will know exactly where to go. No matter how hard you try, you can never give your customers perfectly reliable ETAs. There’s always the possibility that something unexpected will happen. For example, one of your vehicles might break down. This would mess up your entire delivery operations for the day, and the impact here is especially severe if you only offer deadline-focused services, such as food delivery. Route4Me’s GPS tracking feature allows you to see what your drivers are doing on the road. If a vehicle breaks down, you’ll know about it immediately. You can use that information to quickly send roadside assistance to your stranded driver, and you can also contact the nearest functioning driver and send them to the customer. Disaster averted. Business owners often get so excited about increased order volume at this time of year that they fail to properly assess their ability to handle the additional work. Increasing your sales without being prepared for it is a terrible decision, as stretching yourself too thin may lead to late delivers, irate customers, and a hard hit to your reputation. Are your drivers already overworked? Can you afford to hire more drivers if necessary? 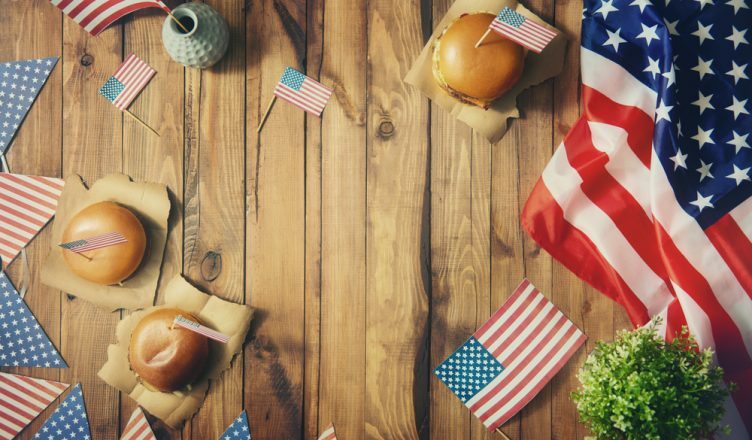 How much extra time will it take your drivers to serve these new orders? How much profit will you make from each new order? How much will it cost in terms of fuel expenses, employee wages, etc. to visit more locations? If you plan routes manually, you won’t really know the answers to these questions. 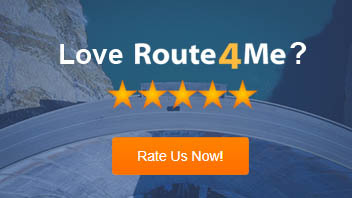 This is why you need Route4Me’s route optimization software. With our last mile delivery optimization software, you can create mock routes and add the relevant constraints (for example, the hourly wages of the drivers and current gas prices) for all the new destinations. We’ll show you how much each route will cost, how long it’ll take to make the new deliveries, and how many drivers you’ll need. Access to such information will help you be much better prepared for the holiday season. Traffic is a big problem during the holidays. According to the US Department of Transportation, the number of people taking long-distance trips (50+ miles away) increases by 54% during Thanksgiving and by 23% during the Christmas/New Year’s period. Your customers don’t care about that, though. They want their deliveries on time, no matter what. 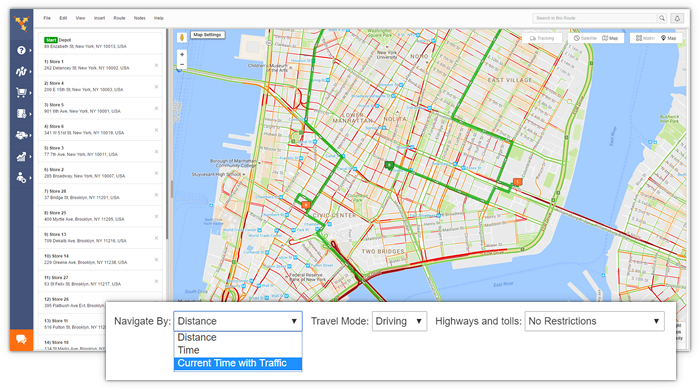 So, what if you could predict traffic conditions and plan routes accordingly? 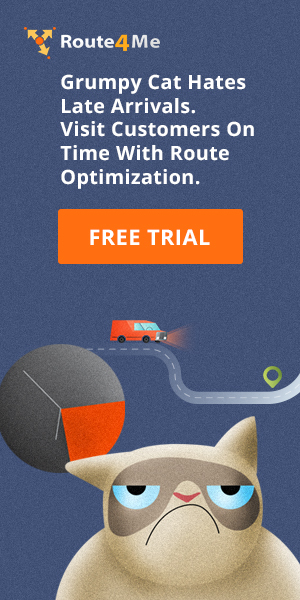 Route4Me’s Predictive Traffic Route Optimization module is the first of its kind, and it allows you to do just that. It takes billions of traffic patterns into account and re-sequences your routes to avoid heavy traffic. Your drivers will be able to avoid congestion and reach your customers on time. 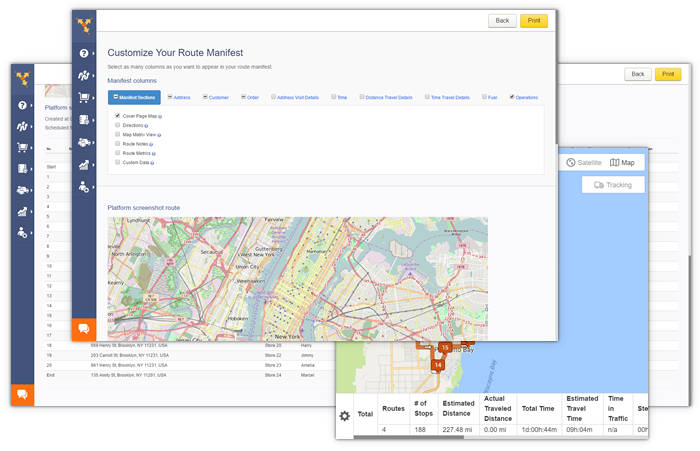 Route4Me automatically generates a manifest for every route created – it has 60 customizable attributes, several of which will tell you the estimated time and distance of the route. Your manifest will reflect the current position of your driver on the road and all the traffic conditions for each stop on the route. So, if a driver blames delays on traffic and then you see on our software that there never was any traffic, you’ll know you have a driver performance problem. How do you manage delivery operations during the holiday season? Do you have any questions about Route4Me’s last mile delivery optimization software? Let us know in the comments below.